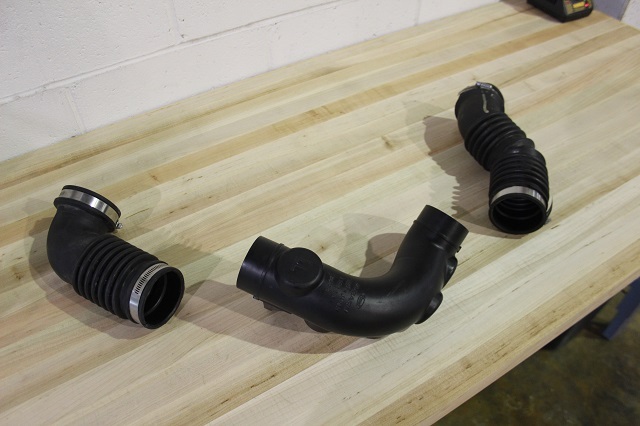 Exciting things are happening in the induction world here at Mishimoto. We have a 2014 Subaru Forester XT in for intake R&D. This AWD turbo Subaru comes with a 2.0L power-plant, giving an output of 253 hp from factory. It shares the same FA20 heart with its 2015+ WRX counterpart, so there are some similarities between the two. 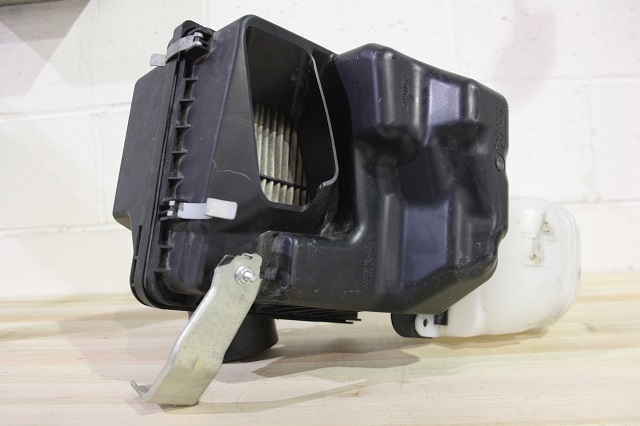 The stock Forester XT intake system is somewhat similar to the stock WRX intake system, yet featured some differences in shape and size. 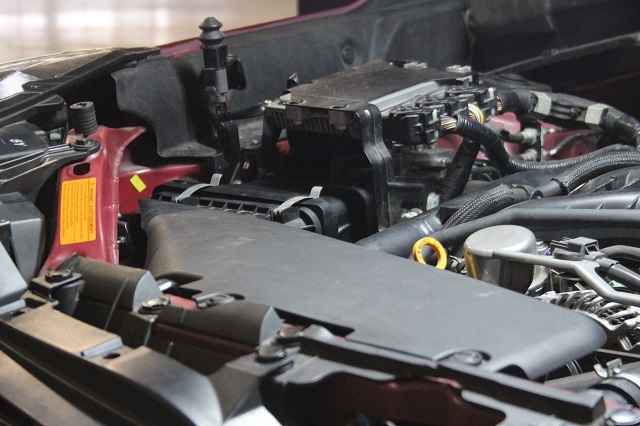 With both systems, the airbox is tucked away in the engine bay. To an untrained eye, it can be easy to miss upon first glance. 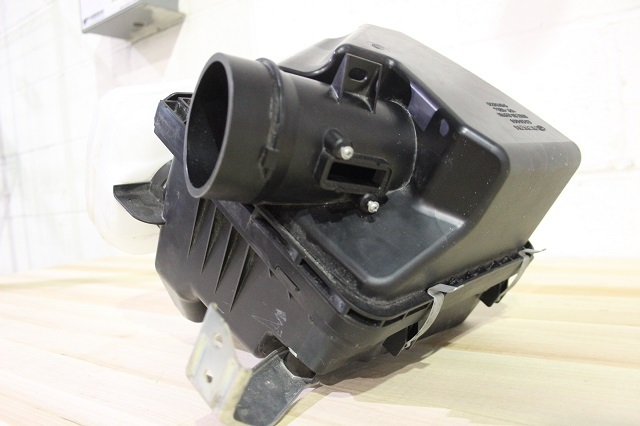 The airbox mounting points on the vehicle are also quite different from the WRX, which is an important reason why these systems will not be interchangeable. The routing design is necessary because the turbo is located underneath the motor. Check out some more shots below! 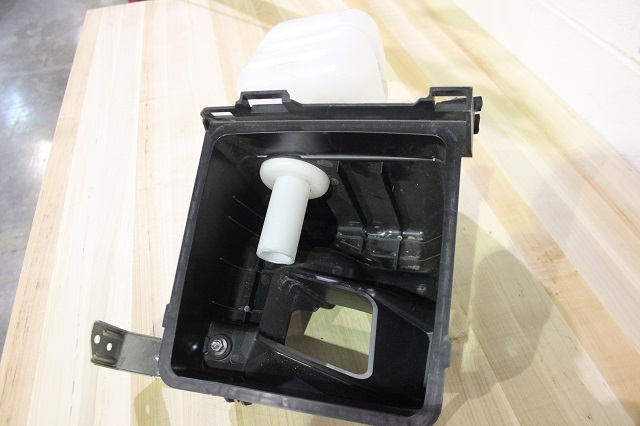 An interesting feature Subaru incorporated into the design is a clear resonator box to the system. 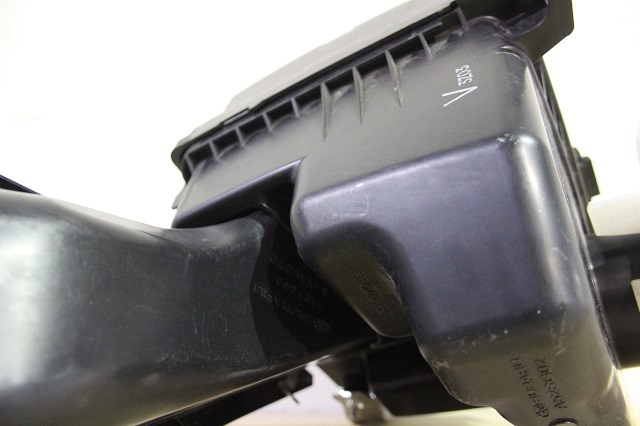 One purpose of resonators in today’s automotive technology is for sound reduction. It allows for a quieter engine sound mainly experienced from inside of the car. It acts as something called a Helmoholtz resonator, which baffles sound at certain RPM’s to prevent unwanted drone and sound vibration. You can see more of it below. On to the final piece of this FXT intake puzzle: the tube routing of the intake to the turbo. The length of the tubing requires the use of multiple accordion tubes with the goal of absorbing vibration and movement coming from the engine. Take a look below. 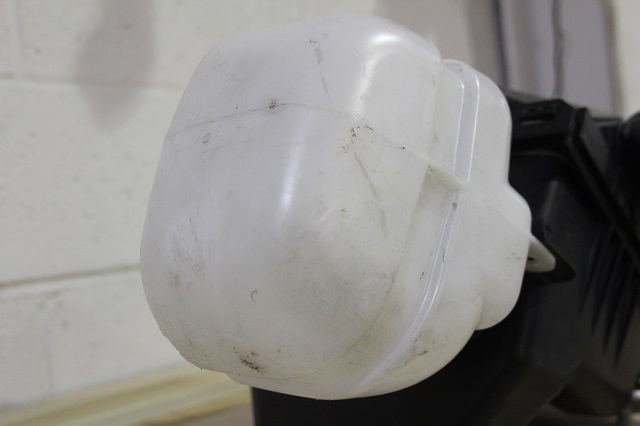 We are fabricating a prototype that will be ready for fitment and dyno-testing very soon. Stay tuned and, as always, thanks for reading!